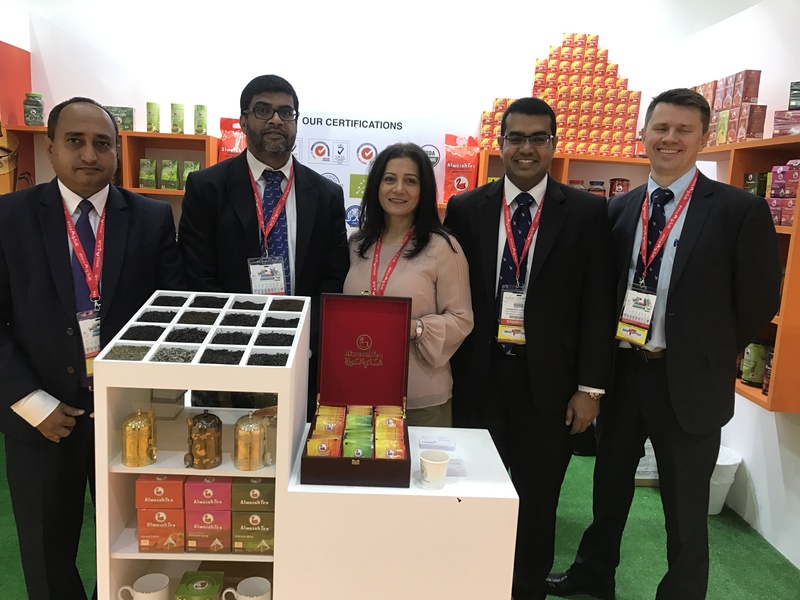 We participated at the Gulfood Exhibition in the UAE which is the premier food & beverage exhibition in the Middle East with more than 135 Country Pavilions, consisting of 4,524 stands at the event. We met majority of our existing Alwazah buyers in order to discuss business matters for mutual benefit. Participation at this exhibition has also resulted in a flood of inquiries for Private labeling business and we are following up on a few useful leads which we are hopeful of leading to new orders. Gihan Jayasinghe, Deputy Chairman, Finlays Colombo Ltd. 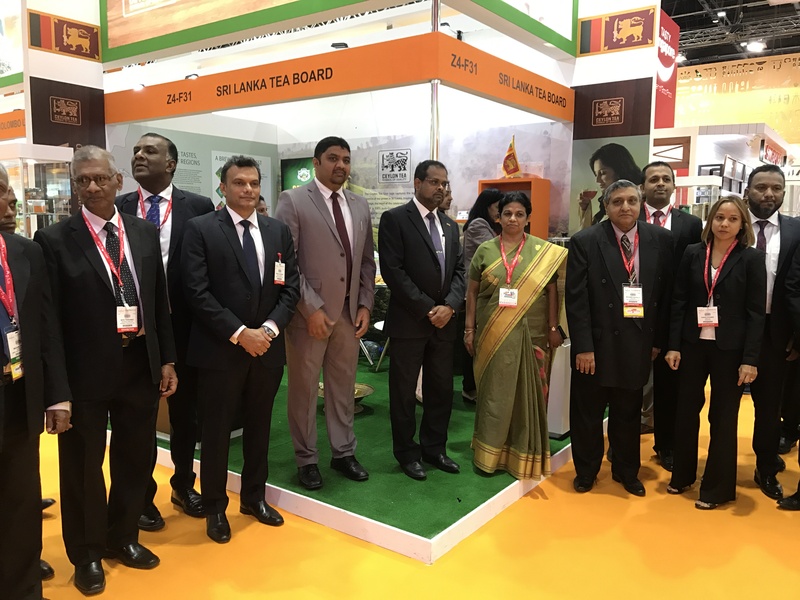 Lighting the Oil Lamp at the Opening Ceremony of the Sri Lanka Country Pavilion, Organized by the Sri Lanka Tea Board..
Sri Lankan Country Pavilion Delegates at the Sri Lanka Tea Board Stand. Faisal Al Abdul Karim from Kuwait along with Gihan and Faizal from Finlays Colombo Ltd.
Finlays Global Team visiting our Stand. Kamini (Finlays UK), Andrey (James Finlays – Dubai), Nishan, Faizal and Chrishanth from Finlays Colombo Ltd.